Parents refusing RE classes for their kids due to Anti Muslim sentiments. Mothers and Fathers in Essex are stopping their kids attending RE lessons on Islam and also preventing them from visiting local mosques as school trips, a report for the council has found. This depressing trend has been discovered in the area of Thurrock, a stronghold for Ukip fans, where a new report warns of “integration issues” within the local community. The report, from the standing advisory council for RE (SACRE), a group that advises on RE in schools, calls for a full investigation to understand the full extent of withdrawals. Racist parents abuse the right to withdraw children from religious education. It added: “It is not clear how widespread this issue is in Thurrock, but what is clear is that this needs to be investigate. Tackling hate crime has always been a priority in Thurrock – where the largest amount of attacks have been against the Muslim community – but still some schools have experienced “tensions”. Thurrock was a big supporter of Brexit , it actually was the 4th highest in the UK – with a whopping 72.3% of the electorate voting to leave the EU in the Brexit referendum. During the general election campaign of 2017, former Nigel Farage of UKIP visited the constituency with the party’s then candidate Tim Aker, who is an MEP. But all is not rosy in the UKIP garden , in January 2017 all 17 Ukip councillors in Thurrock resigned from the party and formed a new group, Thurrock Independents. They now provides the main official opposition to the ruling Tory majority. The Census in 2011 revealed that only 2 per cent of the population in Thurrock is Muslim. SACRE is due to address Thurrock Council as soon as possible about its fears over Islamophobic parents pulling children out of RE lessons. A representitive for the Muslim Council of Britain told the Thurrock Gazette: “In an ever increasingly diverse society, it seems obvious that is crucial to learn about each other’s faith & cultures, to help develop greater understanding between communities. The report comes after teachers warned in April last year that parents were increasingly abusing the right to withdraw their children from religious education lessons due to their prejudices. The while thing is just hugely depressing. Andy Murray’s old school have a job offer for him !! A pretty nifty tennis player at Andy Murray’s old school hopes the 3 times grand slam champion might return as a Physical Education teacher once he retires. Dunblane Primary School studnet Gregor Wood was like the rest of us tennis lovign Brits sad to hear of Andy Murray’s plans to retire this year due to injury, but immediately says the opportunity for his school and has great hopes he can influence what the tennis star does next. I was disappointed to see him retire , I kind of assumed he would go on forever but the hip seems to have put pay to his future. Murray is a regular visitor to his old school and Gregor has met him on numerous occasions. He thinks he is a particular laid back dude who has said he hopes one of the students from his old school may follow footsteps. Gregor met the three times grand slam winner and Wimbledon champion three times and feels like he is just one of the lads. Gregor himself is quite a good tennis player, he credits Murray as been his inspiration. Gregor understands hard work and determination will be key to any success. Katie Cullen another student at the school agrees, she too has met Andy Murray and agrees he is an inspirational figure but also a bit of a funny dude as well. She added: “I was quite sad and shocked that he was in pain and been forced to retire but still happy that will soon be out of pain and able to relax and take a well earned break. Headteacher Lorraine Slabbert also got in on the act expressing her disappointment that Andy is been forced to retire this year as he has been a “huge inspiration”. In Dunblane’s High Street there is a golden post box put there in recognition of his Olympic win in 2012, and the court at the local tennis club is rarely without young Wimbledon hopefuls hitting tennis balls, inspired by the two times Wimbledon champion. Due to the increased demand for STEM skills in the UK reaching a critical point, business and education need to work together and partner with the Government by investing in the workforce of the future: raising young people’s skills, aspiration and awareness of STEM careers. We are the no. 1 provider of STEM support to schools and colleges in the United Kingdom and are proud to play a crucial role in bringing business & education together to inspire the future generation of STEM workers. Thanks to the ongoing generosity of our industry partners, including Rolls-Royce, BP and Lloyd’s Register Foundation, we will make our vision of a top class STEM education for all young people across the UK a reality. These companies band together to help finance Project ENTHUSE – an original partnership of government, charities & employers that have come together to bring about inspired STEM teaching through the professional development of teachers and technicians and support staff across the UK. STEM Learning is delighted to announce it has been awarded £162,000 by the Dept of Business, Energy and Ind Strategy (BEIS) to inspire young students & those who influence them to focus on the global trends that will transform their future lives, addressing the Grand Challenges highlighted in the Government’s Industrial Strategy. The Grand Challenges – Our Futures programme aims to increase awareness of the important role the Grand Challenge themes will play in people’s everyday lives and the UK economy. This programme will improve knowledge of future career opportunities, what STEM skills are needed and how young people gain those skills. The programme will deliver 40 STEM Insight placements to give teachers, careers leads and enterprise co-ordinators the opportunity to experience STEM-related work in industry or university settings. In addition, STEM Ambassadors, a UK wide network of over 30,000 volunteers from STEM employers, will deliver Grand Challenge themed activities to young people. New learning materials based on the four Grand Challenge themes will support STEM Ambassadors to deliver activities designed to increase understanding of Grand Challenges and future career opportunities. The BBC has learned that children in England with special educational needs are having to wait far too long for an education, health and care plan. The EHC plans set out a child’s needs and the support to which they are entitled and so is a vital first step in setting the children on the right path. Once a plan is asked for requested legally it needs to be delivered within 20 weeks. Thanks to Freedom of Information requests, we have learned that 40% are taking longer than that. BBC asked 152 councils in the UK about the time they took to issue EHC plans. They got detailed replies from 65 councils provided comparable data for the last four academic years, starting in 2014-15. During that time a whopping twenty six and a half thousand applications took longer than 20 weeks to complete – including more than 6,000 last year alone. Suffolk has the dubious honour of been top of the list for delays when on applicaton took 1023 days to finalize. Yes you read that correctly , nearly 3 years. They where quicker with their excuses for this delay. They highlighted 2 delaying factors, first an increased demand for EHCPs had proved particularly challenging – as this took place at the same time as the transfer from the old system of Statements of Special Educational Needs (SEND). The council’s cabinet member for education & skills Gordon Jones, stated: “Our priority is to ensure every child gets the correct help and support they need to prosper and develop. 52 councils told us that they had taken more than 52 weeks to finalise an EHC plan for at least 1 child. With thousands of families are still waiting longer than 20 weeks for a finalised plan, the data suggests the average waiting times are getting better at many councils. Thanks to better diagnosis the number of applications for EHC plans is on a steady upwards curve. Records show 61 councils provided data on how many applications they had been receiving. Between them, they were just short of 17,000 applications for a needs assessment in 2014-15, but that figure rose to nearly 29,000 in the following year – a whopping 70% increase. West Sussex County Council told the BBC it had seen nearly a 50% jump in the amount of EHC applications it received over the last 4 years. Parents not taking this lying down. The number of parents taking legal action to challenge them at various stages of the EHCP process nearly doubled over the four years – up from 1,041 in 2014/15, compared with 1,988 in 2017/18. The whole thing was very stressful but I had to fight for my child and her needs. Schools’ expenditure on teacher training in the UK has fallen for the 1st time this decade despite the profession having a major retention problem, research finds. Budget constraints are forcing schools to cut their staff training budgets, a report says. Analysis requested by the education charity Teacher Development Trust, established that budgets for teacher training have reduced by and eight or 12% in secondary schools and 7 per cent in primary schools. Across the UK investment in continuing professional development varies massively from county to county. Lets look at a school in Bury. They allocate less than £165 per teacher but secondary schools in Barking and Dagenham allocate 5X that amount of money on teacher training. Other schools starved of funds have cut spending on books, pens , paper , computers and other L & D resources in an effort to try and fund training for teachers, the research found. David Weston, CEO of the Teacher Development Trust said: “Schools are facing significant funding issues, which are forcing them to spend less on CPD for teachers. This is a great concern, particularly at a time when teacher retention and job satisfaction are big issues. “We know that CPD is linked to improved results for pupils, plus better staff morale and retention. Teacher’s Unions are up in arms about this, they point out that there is more teachers leaving the profession than entering it and at the end of the day it is students who will suffer. Traveling broadens the mind but it can be hard to get time to travel when holding down a full time job. OK teaching allows you to have good holidays but even 2 months free every summer may not be enough to satisfy your travel bug. You can of course take a few years off and travel the world but that costs. Lets be clear , when we talk about traveling we are not talking about 2 weeks in the Costa Del where ever !! When we talk about travel we are talking about spending enough time in a country to really soak up the culture, meet the locals and ok get a really good tan as well. As I said it can be very hard to do this while only having a few month off a year. Well one of the advantages of been a teacher is you can of course teach while traveling. Teaching English in a foreign country is a very popular option taken by many people who want to travel and earn money while doing it. If for example spending a year in Vietnam appeals to you then you can go there for a year and teach English. Teaching in Vietnam allows you plenty of time off, the money you earn is more then enough to allow you to explore the country and live well. Any bachelor’s degree. ( Very few exceptions). Does not have to be teaching related. Completion of TEFL/TESOL online course. We will advise on the best path here. Some teaching experience is helpful but not a necessity. Good health ( There will be an extensive health examination on arrival). So what are you waiting for , there are many other teaching options available to you while working abroad. Northern Ireland has been without government for nearly 2 years now. While on the outside things appear to be moving along as normal under the hood the stains are starting to show. One headmaster has reported that families already cash strapped are having to find hundreds of pounds to plug funding gaps so school supplied can be purchased. These contributions are called “voluntary” but they are anything but voluntary. They are essential contributions and parents are put under pressure make these voluntary contributions. Stormont has been mothballed since Martin McGuiness pulled the plug on the power sharing arrangement with the DUP when funding for Irish language training was withdraw. 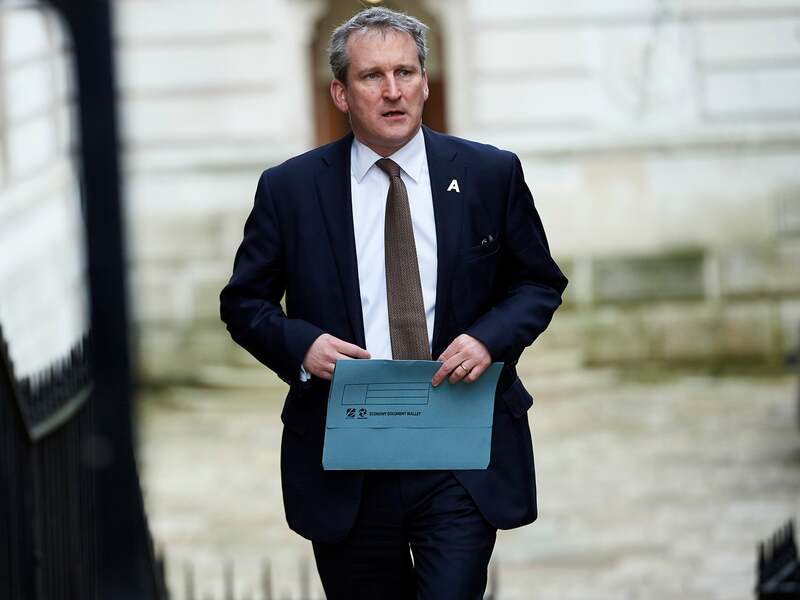 An agreement was nearly reached between SF and the DUP to get Stormont up and running again but again it foundered on the issue of the Irish Language. The impasse has created a decision-making logjam – and now parents are buying around £60 worth of supplies per school child every month to plug an education funding gap, a principal has said. Schools budgets has reduced by about 10 per cent in real terms over the past 6 years. “Schools are now at crisis point,” Ms Cameron added. Charlene Brooks, chief executive of Parenting NI, a family support organisation, added that families were expected to buy extra items like stationary and contribute to the cost of particular lessons. She said: “Parents have made it very clear that this has had an unwanted additional financial and emotional strain. They talk about a voluntary contribution but if one parent does not make it does that mean that their child is left out of a lesson and is more vulnerable to being picked on? “Does that mean that that child stands out from the group? There appear to be much greater expectations on parents to pay towards things that they would not have to in the past. Schools are not the only thing effected by the Stormont shutdown. Loads of pubs have also shut due to unreformed red tape and taxation. 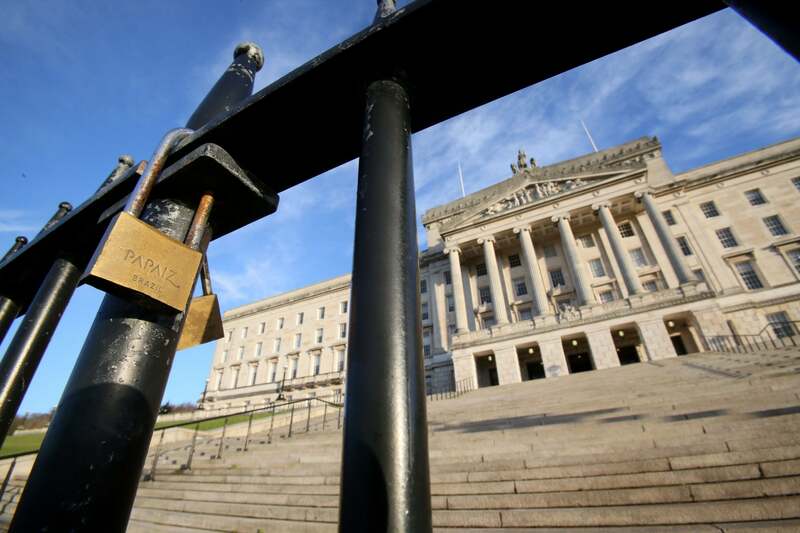 Critical road building projects and Casement GAA Ground development have also been delayed following the power-sharing collapse at Stormont.